Phytoremediation (‘phyto’ means plant) is a generic term for the group of technologies that use plants for remediating soils, sludges, sediments and water contaminated with organic and inorganic contaminants. Phytoremediation can be defined as “the efficient use of plants to remove, detoxify or immobilise environmental contaminants in a growth matrix (soil, water or sediments) through the natural biological, chemical or physical activities and processes of the plants”. Plants are unique organisms equipped with remarkable metabolic and absorption capabilities, as well as transport systems that can take up nutrients or contaminants selectively from the growth matrix, soil or water. Phytoremediation involves growing plants in a contaminated matrix, for a required growth period, to remove contaminants from the matrix, or facilitate immobilisation (binding/containment) or degradation (detoxification) of the pollutants. The plants can be subsequently harvested, processed and disposed. There are several ways in which plants are used to clean up, or remediate, contaminated sites. To remove pollutants from soil, sediment and/or water, plants can break down, or degrade, organic pollutants or contain and stabilise metal contaminants by acting as filters or traps. 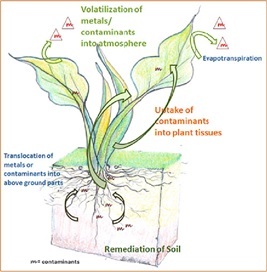 The uptake of contaminants in plants occurs primarily through the root system, in which the principal mechanisms for preventing contaminant toxicity are found. The root system provides an enormous surface area that absorbs and accumulates the water and nutrients essential for growth, as well as other non-essential contaminants. Researchers are finding that the use of trees (rather than smaller plants) is effective in treating deeper contamination because tree roots penetrate more deeply into the ground. In addition, deep-lying contaminated ground water can be treated by pumping the water out of the ground and using plants to treat the contamination. Since the dawn of the Industrial Revolution, mankind has been introducing numerous hazardous compounds into the environment at an exponential rate. These hazardous pollutants consist of a variety of organic compounds and heavy metals, which pose serious risks to human health. The problem of environmental pollution has assumed an unprecedented proportion in many parts of the world. Many methods and processes of preventing, removing and correcting the negative effects of pollutants released into the environments exist, but their application for this purpose has either been poorly implemented or not at all, a situation that is worsening owing probably to claims of lack of virile regulatory bodies. The use of plants to reduce contaminant levels in soil is a cost effective method of reducing the risk to human and ecosystem health posed by contaminated soil sites. The objective of this review is to discuss the different phytoremediation mechanisms and their potentials as remediation techniques that utilize the age long inherent abilities of living plants to remove pollutants from the environment but which are yet to become a commercially available technology in many parts of the world especially the developing countries. Plant roots also cause changes at the soil-root interface as they release inorganic and organic compounds (root exudates) in the rhizosphere. These root exudates affect the number and activity of the microorganisms, the aggregation and stability of the soil particles around the root, and the availability of the contaminants. 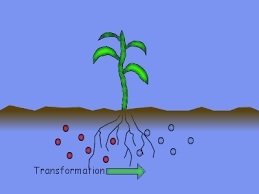 Root exudates, by themselves can increase (mobilise) or decrease (immobilise) directly or indirectly the availability of the contaminants in the root zone (rhizosphere) of the plant through changes in soil characteristics, release of organic substances, changes in chemical composition, and/or increase in plant-assisted microbial activity. Phytoremediation is an alternative or complimentary technology that can be used along with or, in some cases in place of mechanical conventional clean-up technologies that often require high capital inputs and are labor and energy intensive. Phytoremediation is an in situ remediation technology that utilizes the inherent abilities of living plants. It is also an ecologically friendly, solar-energy driven clean-up technology, based on the concept of using nature to cleanse nature. Phytoremediation is a method used in other countries to clean up soil and water polluted by toxic substances including heavy metals. Phytoremediation has been defined as the use of plants to remove or inactivate pollutants from soils and waste waters. It all started in 1948 when Pichi Sermolli, an Italian scientist observed an unusual accumulation of nickel in some plants. Today scientists know of hundreds of plant species capable of selectively absorbing and accumulating specific elements and substances without showing toxicity symptoms – they are known as hyper accumulators. For instance our tea plant (Camellia sinensis) is a well known aluminum accumulator. Depending on the plant species , the actual mechanism of phytoaccumulation can be phytofiltration, phytostabilization, phytovolatilization, or phytodegradation. As far as cadmium is concerned scientists have already identified through research quite a number of plant species that can accumulate cadmium. Some examples are – Athyrium yokoscense, Avena strigosa, Bacopa monnieri (lunuwila), Brassica juncea, Valisnaria americana, Crotalaria juncea (andana hiriya), Eichhornia crassipes (water hyacinth), Helianthus annus (sunflower), Hydrilla verticillata, Lemna minor (duck weed), Pistia stratiotes (water lettuce –diya gowa), Salix viminalis, Spirolelea polyrhiza (giant duck weed), Tagetes erecta, Thlaspi caerulescenes (alpine pennycress) and Valisnaria spiralis (Eel grass). Of all these species, Thlaspi caerulescenes has been reported to be the best hyper accumulator of cadmium, unfortunately it is not available in Sri Lanka. It is a small weedy member of cabbage family and thrives on soils wth high levels of zinc and cadmium. It possess genes to accumulate excessive amounts of heavy metals in other parts of the plant such as leaves and shoots. A typical Thlaspi plant can accumulate about 30,000 ppm of zinc and 1500 ppm cadmium without showing any toxicity symptoms where as a normal plant can tolerate as little as 1000 ppm zinc and 20-50 ppm cadmium. Plant shoots can be harvested and the heavy metals can be extracted. Thlaspi can be used even for cleaning up radioisotopes says Dr Kochian at the US Plant, Soil and Nutrition Lab,New York, an expert on plant responses to stress and use of plants to clean up or re-mediate soils contaminated with heavy metals It can accumulate about 20,000 ppm uranium, 100 times higher than the control. Rorippa globosa is another plant species that can accumulate high levels of cadmium, 107 mg /kg by stem and 150 mg/kg by leaves when the soil cadmium level is 25 mg/kg. Several workers have studied cadmium accumulation potential of food crops. One interesting observation is the cadmium accumulation potential of red beet. Dr Poniedzia et al of Agricultural University of Krakow, Poland have reported a10.3% reduction in cadmium in soil by red beet. Li et al of China have reported that red beet has removed 14.46 mg/m2 cadmium in one growing season. This is something that we have to be careful since red beet is a popular vegetable and consumption of beet grown in contaminated soil can be harmful. Red beet looks a good candidate for phytoremediation work. Chara australis is another cadmium hyper accumulator (Clabeaux, 2011). It can withstand over 100 mg /kg cadmium. Dr Subashini and Swamy of Nagarjuna University, India have reported that Physalis minima can remove 63.11 mg/kg cadmium in 60 days. This is a plant species found in Sri Lanka too where it is known as Heen mottu, lin mottu,or nalal batu. Ji et al of Institute of Applied Ecology, China have described Solanum nigrum (Sinh: Kalu kan weriya) as a cadmium hyper accumulator. Amaranthus sp and sunflower have also been investigated. Zedeh et al (2008) of University of Teheran, Iran say Amaranthus sp is a better cadmium accumulator. Nicotiana tabacum has been mentioned as a cadmium accumulator by several workers. Dr Scholar and his co-workers of Bharathiar University, Tamil Nadu have confirmed this (2011). Jatropa curcus or weta endaru or rata endaru is another plant reported to be a cadmium accumulator. This is a species commonly found in Sri Lanka too. Mentioned above are some of the cadmium hyper accumulators scientifically investigated and reported in other countries for cleaning up of soil. We can make use of such information already available or screen our rich biodiversity and look for better plants than Thalspi caerulescens which is currently regarded as an outstanding cadmium hyper accumulator. For phytoremediation of arsenic contaminated soil there is that amazing plant called Chinese brake (Pteris vittata). It is a fern with a high potential for arsenic accumulation. In one of his trials, Dr Tu and his co-workers of North Carolina State University, grew young ferns in soil containing 98 mg/ As kg-1 for 20 weeks. At the end of the 20 week trial period, fronds had accumulated a staggering 13,000 mg AS kg -1. About 26% of the initial soil arsenic was removed by the plant after 20 weeks of planting. Several rounds of growing P.vittata will see that arsenic is fully gone ! Pityrogramma callomelanos is another fern that can hyper accumulate arsenic. For phytoremediation of water bodies water hyacinth (Eichhornia crassipes) is the obvious choice. Its ability to absorb and accumulate high levels of heavy metals including cadmium and arsenic is well known. Extensively studied world over for many decades by scientists, it can absorb other toxic elements such as mercury, lead, nickel, chromium and zinc too. In 1980s I myself have studied its use in treatment of rubber and textile factory effluents. Whilst cleaning up the existing contaminated soil and water, steps also should be taken to protect them from any future pollution. It is clear that large scale use of low quality phosphate fertilizer containing cadmium as impurities , in the recent past would have contributed to present status of soil and water in the NCP. Distribution of low quality fertilizer under the subsidy scheme must come to an end. Farmers should be encouraged to use organic fertilizer. Chemical fertilizer if used must be of high quality though comparatively more expensive. It is important to create an awareness of new technologies such as phytoremediation among public so that restoration activities can be implemented as participatory projects. It is also proposed to introduce phytoremediation into the curriculum of Plant Science Departments of all universities, if they have not done so already. In 2005, I had the privilege of introducing phytoremediation as a course unit for the Plant Biotechnology stream at University of Sri Jayawardenepura. However, unfortunately it has not been continued since my premature retirement in 2007. I urge my former colleagues at USJP to restart this course unit immediately. Research funding bodies such as National Science Foundation, National Research Council and CARP are requested to award research grants to studies on phytoremediation on a priority basis particularly to find out more efficient local plant species. Phytoremediation is not something entirely new and it has been there for years in other countries and they have made use of it clean up different types of contaminated situations. It is our turn now though little overdue. Let us remember that phytoremediation is an attractive alternative to current clean up methods that are energy intensive and very expensive. While phytotechnologies have gained attention over the last several years, the processes have been taking place naturally for over three centuries.Throughout the 1970s and the following decades,plants were heavily tested and used to treat soil infiltrated with metals and contaminants in wetlands. As a result, techniques for these uses are well established. Widespread use of phytoremediation by federal and state governments, as well as non-governmental organizations, began in the 1980s(EPA 2005b). The use of the term phytoremediation was initiated by the EPA in 1991, and it was first used in open technical literature in 1993 by Cunninghamand Berti. In the late 1990s new uses for phytoremediation were discovered, and it became known among innovative scientific technologies. Phytoremediation was derived from other fields such as agronomy, forestry, chemical and agricultural engineering, microbiology, and many others. 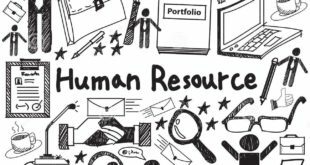 Since its inception it has developed into an independent field of study and a widely applicable technology. Phytoremediation has been applied at several sites on the National Priorities. The diversity of pollutants to which it can be applied crude oil, metals,explosives, pesticides, chlorinated solvents and numerous other contaminants is the prime reason the technology has developed rapidly (EPA, 2005b). Phytoremediation applications can be classified based on the contaminant fate: degradation,extraction, containment, or a combination of these. Phytoremediation applications can also be classified based on the mechanisms involved. Such mechanisms include extraction of contaminants from soil or groundwater; concentration of contaminants in plant tissue; degradation of contaminants by various biotic or a biotic processes; volatilization or transpiration of volatile contaminants from plants to the air; immobilization of contaminants in the root zone; hydraulic control of contaminated groundwater(plume control); and control of runoff, erosion, and infiltration by vegetative covers. Phytoremediation may be applied wherever the soil or static water environment has become polluted or is suffering ongoing chronic pollution. Examples where phytoremediation has been used successfully include the restoration of abandoned metal mine workings, and sites where polychlorinated biphenyls have been dumped during manufacture and mitigation of ongoing coal mine discharges reducing the impact of contaminants in soils, water, or air. Contaminants such as metals, pesticides, solvents, explosives, and crude oil and its derivatives, have been mitigated in phytoremediation projects worldwide. Many plants such as mustard plants, alpine pennycress, hemp, and pigweed have proven to be successful at hyper accumulating contaminants at toxic waste sites. Over the past 20 years, this technology has become increasingly popular and has been employed at sites with soils contaminated with lead, uranium, and arsenic. While it has the advantage that environmental concerns may be treated in situ; one major disadvantage of phytoremediation is that it requires a long-term commitment, as the process is dependent on a plant’s ability to grow and thrive in an environment that is not ideal for normal plant growth. Phytoremediation is the name given to technologies that use plants to clean up contaminated sites. Many techniques and applications are represented under phytoremediation. They differ in the way plants deal with contaminants (removal, immobilization, degradation), as well as in the type of contaminant that the plant species can target (organic or inorganic contaminant). Rhizosphere biodegradation.In this process, the plant releases natural substances through its roots, supplying nutrients to microorganisms in the soil. The microorganisms enhance biological degradation. Phyto-stabilization.In this process, chemical compounds produced by the plant immobilize contaminants, rather than degrade them. Phyto-accumulation (also called phyto-extraction).In this process, plant roots sorb the contaminants along with other nutrients and water. The contaminant mass is not destroyed but ends up in the plant shoots and leaves. This method is used primarily for wastes containing metals. At one demonstration site, water-soluble metals are taken up by plant species selected for their ability to take up large quantities of lead (Pb). The metals are stored in the plantÍs aerial shoots, which are harvested and either smelted for potential metal recycling/recovery or are disposed of as a hazardous waste. As a general rule, readily bio available metals for plant uptake include cadmium, nickel, zinc, arsenic, selenium, and copper. Moderately bio-available metals are cobalt, manganese, and iron. Lead, chromium, and uranium are not very bio-available. Lead can be made much more bioavailable by the addition of chelating agents to soils. Similarly, the availability of uranium and radio-cesium 137 can be enhanced using citric acid and ammonium nitrate, respectively. Hydroponic Systems for Treating Water Streams (Rhizofiltration). Rhizofiltration is similar to phyto-accumulation, but the plants used for cleanup are raised in greenhouses with their roots in water. This system can be used for ex-situ groundwater treatment. That is, groundwater is pumped to the surface to irrigate these plants. Typically hydroponic systems utilize an artificial soil medium, such as sand mixed with perlite or vermiculite. As the roots become saturated with contaminants, they are harvested and disposed of. Phyto-volatilization.In this process, plants take up water containing organic contaminants and release the contaminants into the air through their leaves. Phyto-degradation.In this process, plants actually metabolize and destroy contaminants within plant tissues. 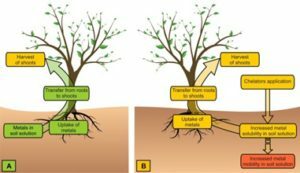 Hydraulic Control.In this process, trees indirectly remediate by controlling groundwater Trees act as natural pumps when their roots reach down towards the water table and establish a dense root mass that takes up large quantities of water. A poplar tree, for example, pulls out of the ground 30 gallons of water per day, and a cottonwood can absorb up to 350 gallons per day. Rhizodegradation refers to the breakdown of contaminants within the plant root zone, or rhizosphere. It is believed to be carried out by bacteria or other microorganisms whose numbers typically flourish in the rhizosphere. Studies have documented up to 100 times as many microorganisms in rhizosphere soil as in soil outside the rhizosphere (USEPA, 2000). Microorganisms may be so prevalent in the rhizosphere because the plant exudes sugars, amino acids, enzymes, and other compounds that can stimulate bacterial growth. The roots also provide additional surface area for microbes to grow on and a pathway for oxygen transfer from the environment. The localized nature of rhizodegradation means that it is primarily useful in contaminated soil, and it has been investigated and found to have at least some successes in treating a wide variety of mostly organic chemicals, including petroleum hydrocarbons, polycyclic aromatic hydrocarbons (PAHs), chlorinated solvents, pesticides, polychlorinated biphenyls (PCBs), benzene, toluene, ethylbenzene, and xylenes (EPA, 2000). It can also be seen as plant-assisted bioremediation, the stimulation of microbial and fungal degradation by release of exudates/enzymes into the root zone (rhizosphere) (Zhang et al., 2005). This is also referred to as phytostimulation. Phytostabilization involves the establishment of a plant cover on the surface of the contaminated sites with the aim of reducing the mobility of contaminants within the vadose zone through accumulation by roots or immobilization within the rhizosphere, thereby reducing off-site contamination. The process includes transpiration and root growth that immobilizes contaminants by reducing leaching, controlling erosion, creating an aerobic environment in the root zone, and adding organic matter to the substrate that binds the contaminant. Microbial activity associated with the plant roots may accelerate the degradation of organic contaminants such as pesticides and hydrocarbons to nontoxic forms. Phytostabilization can be enhanced by using soil amendments that immobilize metal(loid)s combined with plant species that are tolerant of high levels of contaminants and low-fertility soils or tailings. Although this technology is effective in the containment of metal(loid)s, the site requires regular monitoring to ensure that the stabilizing conditions are maintained. Soil amendments used to enhance immobilization may need to be periodically reapplied to maintain their effectiveness. Soil, plant, contaminant, and environmental factors determine the successful outcome of phytostabilization technology in relation to both the remediation and revegetation of contaminated sites. As the establishment of vegetation is critical to phytostabilization, the physical, chemical, and biological properties of soils which control plant growth determine the successful outcome of this technology. Further, soil properties also regulate the dynamics of metal(loid)s thereby affecting their stabilization in soils. Plants are central to phytostabilization because plant characteristics regulate both the transformation of metal(loid)s and binding of soil particles. Nyer and Gatliff (1996) predict that phytoremediation will be the next hot technology for the environmental remediation field, yet they caution “… that this technology is not simply the buying of plants from the local K-mart and placing them in the soil near a contaminated site!.” Subsequently, phytostabilization has been slowly adopted to remediate some contaminated sites, while the technical and commercial success of phytoextraction is conspicuously absent (Robinson et al., 2009). Plants with desirable phenotypic and genotypic characteristics are selected for the sustainable management of soil remediation (Tables 5 and 6). The density, morphology, and depth to which plant roots penetrate the soil are critical to potential application of this technology. Enhancement of root biomass and morphology is therefore desirable in any phytostabilization operation. Plants with dense and deep roots that can exploit larger volumes of contaminated soils have much larger surface area, thus facilitating the stabilization of soils and enhancing the microbial volatilization of metal(loid)s in the rhizosphere. Fibrous roots offer a large surface area for contaminant absorption (facilitating phytoextraction) and plant–microbe interactions (facilitating phytovolatilization). The reactions of contaminants affect their bioavailability and mobility, thereby influencing phytostabilization. Metal(loid)s introduced to soils undergo a number of reactions that include adsorption, complexation, precipitation, and reduction, which control their leaching and runoff losses, and bioavailability. Chemical interactions that contribute to metal(loid) retention by soil colloids include sorption and complexation with inorganic and organic ligands. Charged ions are attracted to charged soil surfaces by electrostatic and/or stronger covalent bonds (Mott, 1981), which can be specific or nonspecific in nature (Bolan et al., 1999). In nonspecific adsorption, the ion charge balances on the soil surface by electrostatic attraction, while in specific adsorption, chemical bonds form between the ions and the soil surface (Spark, 1986; Sposito, 1984). 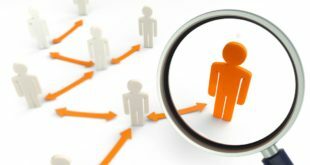 This is also referred to as in-place inactivation. It is primarily used for the remediation of soil, sediment, and sludge (USEPA, 2000). It is the use of certain plant species to immobilize contaminants in the soil and ground water through absorption and accumulation by roots, adsorption onto roots, or precipitation within the root zone of plants (rhizosphere). This process reduces the mobility of the contaminant and prevents migration to the ground water and it reduces bio-availability of metal into the food chain. This technique can also be used to reestablish vegetation cover at sites where natural vegetation fails to survive due to high metals concentrations in surface soils or physical disturbances to surface materials. Metal-tolerant species is used to restore vegetation at contaminated sites, thereby decreasing the potential migration of pollutants through wind erosion and transport of exposed surface soils and leaching of soil contamination to ground water. Phytostabilization can occur through the resorption, precipitation, complexation, or metal valence reduction. It is useful for the treatment of lead (Pb) as well as arsenic (As), cadmium (Cd), chromium (Cr), copper (Cu) and zinc (Zn). Phytostabilization takes advantage of the changes that the presence of the plant induces in soil chemistry and environment. These changes in soil chemistry may induce adsorption of contaminants. Phytostabilization has been successful in addressing metals and other inorganic contaminants in soil and sediments (EPA, 2000). Some of the advantages associated with this technology are that the disposal of hazardous material/biomass is not required and it is very effective when rapid immobilization is needed to preserve ground and surface waters (Zhang et al., 2009). The presence of plants also reduces soil erosion and decreases the amount of water available in the system (USEPA, 2000). However, this clean-up technology has several major disadvantages including: contaminant remaining in soil, application of extensive fertilization or soil amendments, mandatory monitoring is required, and the stabilization of the contaminants may be primarily due to the soil amendments. Phytostabilization aims to retain contaminants in the soil and prevent further dispersal. Contaminants can be stabilized in the roots or within the rhizosphere (Figure 3B). Revegetation of mine tailings is a common practice to prevent further dispersal of contaminants (Figure 4). Mine tailings have been stabilized using commercially available varieties of metal tolerant grasses such as Agrostis tenuis cv. Goginan and cv. Parys and Festuca rubra cv. Merlin. Metal tolerance of plants is generally increased by symbiotic, root-colonizing, arbuscular mycorrhizal fungi (AMF), through metal sequestration in the AMF hyphae. In addition, excretion of the glycoprotein glomulin by AMF hyphae can complex metals in the soil. Populations of AMF that are adapted to metal contaminated soils have great potential in phytostabilization. Soil microbes can decrease toxic effects of contaminants in the soil. For example, exudates (peptides) from the bacterium Pseudomonas putida can decrease Cd toxicity in plants. Plants can also convert contaminants into less toxic forms, or decrease their bioavailability. Natural chelates released by the roots of certain plants can form complexes with metals in the rhizosphere. These include siderophores, organic acids and phenolics. Metals such as the toxic Cr(lll) can be converted to the much less toxic Cr(Vl) by enzymes found on the roots of wetland plants. In addition, plants, and their associated soil microbes, can release chemicals that act as biosurfactants in the soil that increase the uptake of contaminants. Contaminants can be stabilized in natural and constructed wetlands through a process called phytofiltration. This involves rhizofiltration where metals are precipitated within the rhizosphere. Metal-plaque forms typically on the roots of wetland plants through the release of oxygen via the aerenchyma of roots. Iron oxides precipitate along with other metals into the metal plaque. Metal plaque on roots acts as a reservoir for active iron (Fe2+), which in turn increases the tolerance of plants to other toxic metals. Plants are important components of ecosystems as they transfer elements from a biotic into biotic environment. It refers to the uptake and translocation of metal contaminants in the soil by plant roots into the above ground portions of the plants. Phytoextraction is primarily used for the treatment of contaminated soils (USEPA, 200). To remove contamination from the soil, this approach uses plants to absorb, concentrate, and precipitate toxic metals from contaminated soils into the above ground biomass (shoots, leaves, etc.) (Fig. 1). Discovery of metal hyperaccumulator species demonstrates that plants have the potential to remove metals from contaminated soils (Raskin and Ensley, 2000). A hyperaccumulator is a plant species capable of accumulating 100 times more metal than a common non-accumulating plant (UNEP, Undated). Metals such as nickel, zinc and copper are the best candidates for removal by phytoextraction because it has been shown that they are preferred by a majority of plants (approximately 400) that uptake and absorb unusually large amounts of metals. There are several advantages of phytoextraction. The cost of phytoextraction is fairly inexpensive when compared to conventional methods. Plants that hyper accumulate metals have tremendous potential for application in remediation of metals in the environment. This approach is emerging as an innovative tool with greater potential for achieving sustainable development and also to decontaminate metal polluted air, soil, water and for other environmental restoration applications through rhizosphere biotechnology (Wenzel et al. 2003). All compartments of the biosphere are polluted by a variety of inorganic and organic pollutants as a result of anthropogenic activities and alter the normal biogeochemical cycling. A variety of biological resources have been employed widely both in developed and developing nations for cleanup of the metal polluted sites. Metal-contaminated soil can be remediated by chemical, physical or biological techniques (McEldowney et al. 1993). There are different categories of phytoremediation, such as phytoextraction, phytodegradation, rhizosphere filtration, phytovolatilization, phytostabilization and phytostimulation (Raskin and Ensley 2000; Alkorta and Garbisu 2001). Phytoremediation involves the use of plants to remove, transfer, stabilize and/or degrade contaminants in soil, sediment and water (Hughes et al. 1997). Phytoremediation is less expensive process for wastewaters than other methods (Lasat 2002). The ideal phytoremediator is a species that possesses large biomass, grows quickly, has an extensive root system, and must be easily cultivated and harvested (Clemens et al. 2002). The ability to accumulate heavy metals varies significantly between species and among cultivars within species, as different mechanisms of ion uptake are operative in each species, based on their genetic, morphological, physiological and anatomical characteristics. Farid et al. (2013) also reported the ameliorative effects of phytoremediation on the contamination of wastewater. The adverse effects of waste waters on soils and crops have been researched intensively (Helal 1983) but studies on the potential uptake of heavy metal by native plant species found in wastewater of Pakistan, are scanty and have information gaps. Therefore, this research was aimed to investigate accumulation of heavy metals in the shoot and root of native plant species (including trees, shrubs and grasses) e.g., Ricinus communis L., Ipomoea carnea L., Cannabis sativa L., Parthenium hysterophorus L., Acacia nilotica L., Dalbergia sissoo L., Acacia modesta L., Solanum nigrum L., Xanthium stromarium L., Chenopodium album L., Cynodon dactylon L., Eleusine indica L., and Dactyloctenium aegyptium L. grown in and around wastewater effluent of Hattar industrial areas of Pakistan. Rhizofiltration (‘rhizo’ means ‘root’) is the adsorption or precipitation onto plant roots (or absorption into the roots) of conta-minants that are in solution surrounding the root zone. Rhizofiltration is similar to phytoextraction, but the plants are used to clean up contaminated groundwater rather than soil. The plants to be used for cleanup are raised in greenhouses with their roots in water. Contaminated water is either collec-ted from a waste site and brought to the plants or the plants are planted in the contaminated area, where the roots then take up the water and the contaminants dissolved in it. As the roots become saturated with contaminants, they are harvested. For example, sunflowers were successfully used to remove radioactive contaminants from pond water in a test at Chernobyl, Ukraine. Rhizofiltration is a type of phytoremediation, which refers to the approach of using hydroponically cultivated plant roots to remediate contaminated water through absorption, concentration, and precipitation of pollutants. It also filters through water and dirt. The contaminated water is either collected from a waste site and brought to the plants, or the plants are planted in the contaminated area, where the roots then take up the water and the contaminants dissolved in it. Many plant species naturally uptake heavy metals and excess nutrients for a variety of reasons: sequestration, drought resistance, disposal by leaf abscission, interference with other plants, and defense against pathogens and herbivores. Some of these species are better than others and can accumulate extraordinary amounts of these contaminants. Identification of such plant species has led environmental researchers to realize the potential for using these plants for remediation of contaminated soil and wastewater. Rhizofiltration Surface water rhizofiltration may be conducted in situ, with plants being grown directly in the contaminated water body. If groundwater is located within the rhizosphere (root zone), rhizofiltration of groundwater can also be in situ. Alternately, rhizofiltration may involve the pumping of contaminated groundwater into troughs filled with the large root systems of appropriate plant species. The large surface areas provided by these root systems allow for efficient absorption of metals from the contaminated groundwater into root tissues. In addition to removal through absorption, metals are also removed from groundwater through precipitation caused by exudates (liquids released from plant tissues). These precipitates are filtered from the groundwater after it passes through the plant troughs and before treated water is removed from the process loop. Roots are harvested, and depending on the species of plant used, shoots may be transplanted to grow new roots. Plants can be replaced in the system to ensure constant operation results. Rhizofiltration using sunflowers has been used in the remediation of radionuclides from surface water near Chernobyl. This process is very similar to phytoextraction in that it removes contaminants by trapping them into harvestable plant biomass. Both phytoextraction and rhizofiltration follow the same basic path to remediation. First, plants are put in contact with the contamination. They absorb contaminants through their root systems and store them in root biomass and/or transport them up into the stems and/or leaves. The plants continue to absorb contaminants until they are harvested. The plants are then replaced to continue the growth/harvest cycle until satisfactory levels of contaminant are achieved. Both processes are also aimed more toward concentrating and precipitating heavy metals than organic contaminants. The major difference between rhizofiltration and phytoextraction is that rhizofiltration is used for treatment in aquatic environments, while phytoextraction deals with soil remediation. Rhizofiltration may be applicable to the treatment of surface water and groundwater, industrial and residential effluents, down washes from power lines, storm waters, acid mine drainage, agricultural runoffs, diluted sludges, and radionuclide-contaminated solutions. Plants suitable for rhizofiltration applications can efficiently remove toxic metals from a solution using rapid-growth root systems. Various terrestrial plant species have been found to effectively remove toxic metals such as Cu2+, Cd2+, Cr6+, Ni2+, Pb2+, and Zn2+ from aqueous solutions. It was also found that low level radioactive contaminants can successfully be removed from liquid streams. A system to achieve this can consist of a “feeder layer” of soil suspended above a contaminated stream through which plants grow, extending the bulk of their roots into the water. The feeder layer allows the plants to receive fertilizer without contaminating the stream, while simultaneously removing heavy metals from the water. Trees have also been applied to remediation. Trees are the lowest cost plant type. They can grow on land of marginal quality and have long life-spans. This results in little or no maintenance costs. The most commonly used are willows and poplars, which can grow 6 – 8’ per year and have a high flood tolerance. For deep contamination, hybrid poplars with roots extending 30 feet deep have been used. Their roots penetrate microscopic scale pores in the soil matrix and can cycle 100 L of water per day per tree. These trees act almost like a pump and treat remediation system. This is primarily used to remediate extracted groundwater, surface water, and wastewater with low contaminant concentrations. It is the adsorption or precipitation onto plant roots or absorption of contaminants in the solution surrounding the root zone. Rhizofiltration is typically exploited in groundwater (either in situ or extracted), surface water, or wastewater for removal of metals or other inorganic compounds (EPA, 2000). Rhizofiltration can be used for Pb, Cd, Cu, Ni, Zn, and Cr, which are primarily retained within the roots (USEPA, 2000). An illustration of this method is shown in Fig. 2. 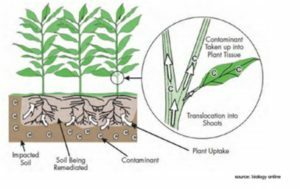 Rhizofiltration is similar to phytoextraction, but the plants are used primarily to address contaminated ground water rather than soil. The plants to be used for cleanup are raised in greenhouses with their roots in water rather than in soil. To acclimatize the plants, once a large root system has been developed, contaminated water is collected from a waste site and brought to the plants where it is substituted for their water source. The plants are then planted in the contaminated area where the roots take up the water and the contaminants along with it. As the roots become saturated with contaminants, they are harvested. Sunflower, Indian mustard, tobacco, rye, spinach, and corn have been studied for their ability to remove lead from water, with sunflower having the greatest ability. In one study, after only one hour of treatment, sunflowers reduced lead concentrations significantly (Raskin and Ensley, 2000). The advantages associated with rhizofiltration are the ability to use both terrestrial and aquatic plants for either in situ or ex situ applications. Another advantage is that contaminants do not have to be translocated to the shoots. Thus, species other than hyperaccumulators may be used. Terrestrial plants are preferred because they have a fibrous and much longer root system, increasing the amount of root area (Raskin and Ensley, 2000). Disadvantages and limitations include the constant need to adjust pH, plants may first need to be grown in a greenhouse or nursery; there is periodic harvesting and plant disposal; tank design must be well engineered; and a good understanding of the chemical speciation/interactions is needed. The Int. J. Environ. Bioener. 2012, 2(3): 120-136 Copyright © 2012 by Modern Scientific Press Company, Florida, USA 132 cost of remediation by rhizofiltration has been estimated to be $2-$6 per 1000 gallons of water (USEPA, 2000). Rhizofiltration is cost-effective for large volumes of water having low concentrations of contaminants that are subjected to stringent standards. 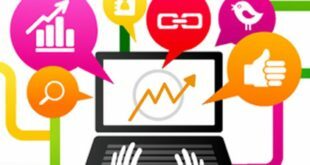 It is relatively inexpensive, yet potentially more effective than comparable technologies. 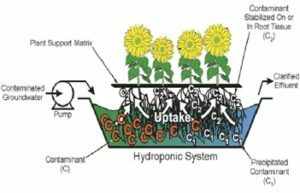 The removal of radionuclides from water using sunflowers was estimated to cost between $2 and $6 per thousand gallons of water treated, including waste disposal and capital costs. Rhizofiltration is a treatment method that may be conducted in situ, with plants being grown directly in the contaminated water body. 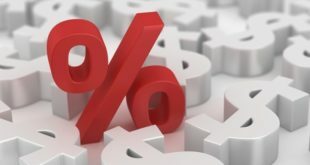 This allows for a relatively inexpensive procedure with low capital costs. Operation costs are also low but depend on the type of contaminant. This treatment method is also aesthetically pleasing and results in a decrease of water infiltration and leaching of contaminants. After harvesting, the crop may be converted to biofuel briquette, a substitute for fossil fuel. This treatment method has its limits. Any contaminant that is below the rooting depth will not be extracted. The plants used may not be able to grow in highly contaminated areas. Most importantly, it can take years to reach regulatory levels. This results in long-term maintenance. Also, most contaminated sites are polluted with many different kinds of contaminants. There can be a combination of metals and organics, in which treatment through rhizofiltration will not suffice. 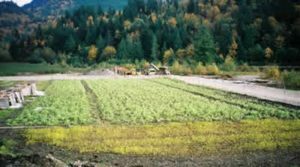 Plants grown on polluted water and soils become a potential threat to human and animal health, and therefore, careful attention must be paid to the harvesting process and only non-fodder crop should be chosen for the rhizofiltration remediation method. 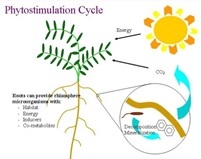 Phytovolatilization is a process, in which plants take up contaminants from soil and release them as volatile form into the atmosphere through transpiration. The process occurs as growing plants absorb water and organic contaminants. As water travels from the roots to the leaves along the vascular system of the plant, it is changed and modified along the way. Then, some of the contaminants move through the plants to the leaves and evaporate or volatilize into the atmosphere. Phytovolatilization has been primarily used to remove mercury; the mercuric ion is converted into less toxic elemental mercury. lants can interact with a variety of organic compounds, and thereby affect the fate and transport of many environmental contaminants. Volatile organic compounds may be volatilized from stems or leaves (direct phytovolatilization) or from soil due to plant root activities (indirect phytovolatilization). Fluxes of contaminants volatilizing from plants are important across scales ranging from local contaminant spills to global fluxes of methane emanating from ecosystems biochemically reducing organic carbon. In this article past studies are reviewed to clearly differentiate between direct- and indirect-phytovolatilization and we discuss the plant physiology driving phytovolatilization in different ecosystems. Current measurement techniques are also described, including common difficulties in experimental design. This involves the use of plants to take up contaminants from the soil, transforming them into volatile forms and transpiring them into the atmosphere (USEPA, 2000). Phytovolatilization also involves contaminants being taken up into the body of the plant, but then the contaminant, a volatile form thereof, or a volatile degradation product is transpired with water vapor from leaves (EPA, 2000). Phytovolatilization may also entail the diffusion of contaminants from the stems or other plant parts that the contaminant travels through before reaching the leaves (Raskin and Ensley 2000). Phytovolatilization can occur with contaminants present in soil, sediment, or water. Mercury is the primary metal contaminant that this process has been used for. It has also been found to occur with volatile organic compounds, including trichloroethene, as well as inorganic chemicals that have volatile forms, such as selenium, and arsenic (EPA, 2000). The advantage of this method is that the contaminant, mercuric ion, may be transformed into a less toxic substance (i.e., elemental Hg). The disadvantage to this is that the mercury released into the atmosphere is likely to be recycled by precipitation and then redeposited back into lakes and oceans, repeating the production of methylmercury by anaerobic bacteria (USEPA, 2000). 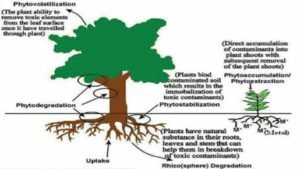 Phytovolatilisation is the uptake and transpiration of a contaminant by a plant, with release of the contaminant or a modified form of the contaminant from the plant to the atmosphere. Phytovolatilisation occurs as growing trees and other plants take up water and the organic contaminants. Some of these contaminants can pass through the plants to the leaves and evaporate, or volatilise, into the atmosphere. Poplar trees at one particular study site have been shown to volatilise 90% of the TCE they take up. Phytovolatilization refers to the uptake and transpiration of contaminants, primarily organic compounds, by plants. The contaminant, present in the water taken up by the plant, passes through the plant or is modified by the plant, and is released to the atmosphere (evaporates or vaporizes). For example, exudates (peptides) from the bacterium Pseudomonas putida can decrease Cd toxicity in plants. Plants can also convert contaminants into less toxic forms, or decrease their bioavailability. Natural chelates released by the roots of certain plants can form complexes with metals in the rhizosphere. These include siderophores, organic acids and phenolics. Metals such as the toxic Cr(lll) can be converted to the much less toxic Cr(Vl) by enzymes found on the roots of wetland plants. In addition, plants, and their associated soil microbes, can release chemicals that act as biosurfactants in the soil that increase the uptake of contaminants. Contaminants can be stabilized in natural and constructed wetlands through a process called phytofiltration. This involves rhizofiltration where metals are precipitated within the rhizosphere. Metal-plaque forms typically on the roots of wetland plants through the release of oxygen via the aerenchyma of roots. Iron oxides precipitate along with other metals into the metal plaque. Metal plaque on roots acts as a reservoir for active iron (Fe2+), which in turn increases the tolerance of plants to other toxic metals. 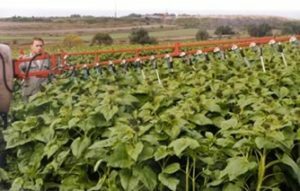 It can also entail the use of plants that take up and accumulate aboveground significant amounts of contaminants only when special soil amendments are used. Another approach is the use of plants that trap the contaminants in their root systems and are then harvested whole (including the roots). Mercury represents a special case of metal phytoremediation that is still being investigated. To remove this metal from soil and sediments, researchers propose to use genetically modified plants to take up the mercury and transform it into a less toxic form. The less toxic form is then vaporized out of the leaves, reducing the danger to the environment and humans. Phytoextraction is a subprocess of phytoremediation in which plants remove dangerous elements or compounds from soil or water, most usually heavy metals, metals that have a high density and may be toxic to organisms even at relatively low concentrations.The heavy metals that plants extract are toxic to the plants as well, and the plants used for phytoextraction are known hyperaccumulators that sequester extremely large amounts of heavy metals in their tissues. induced or assisted hyper-accumulation, where a conditioning fluid containing achelator or another agent is added to soil to increase metal solubility or mobilization so that the plants can absorb them more easily. In many cases natural hyperaccumulators are metallophyte plants that can tolerate and incorporate high levels of toxic metals. Arsenic, using the sunflower (Helianthus annuus)or the Chinese Brake fern (Pteris vittata). Cadmiumand zinc, using alpine pennycress (Thlaspi caerulescens), a hyperaccumulator of these metals at levels that would be toxic to many plants. On the other hand, the presence of copper seems to impair its growth (see table for reference). Lead, using Indian mustard (Brassica juncea), ragweed (Ambrosia artemisiifolia), hemp dogbane (Apocynum cannabinum), orpoplar trees, which sequester lead in their biomass. Salt-tolerant (moderatelyhalophytic) barley and/or sugar beets are commonly used for the extraction of sodium chloride (common salt) to reclaim fields that were previously flooded by sea water. Induced phytoextraction is conducted by growing selected fast-growing plants in the contaminated soil. Throughout the growth period, amendments are added to the soil to increase availability of metals to the plants. When the plants are mature, inducing agents (chemicals) are used to trigger accumulation of metals from the soil. The plants are then harvested and disposed appropriately. It is possible that two harvests will be conducted annually. 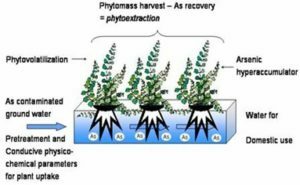 Phytoextraction by whole plant harvesting is conducted by growing the selected plants under normal conditions, including fertilization and irrigation as necessary. Modified agricultural implements typically used to harvest below-ground crops (potatoes, beets, carrots, peanuts, etc.) are used to harvest the whole plant, including the root. Heavy metals can be a major problem for any biological organism as they may be reactive with a number of chemicals essential to biological processes. They can also break apart other molecules into even more reactive species (such as:Reactive Oxygen Species) which will also disrupt biological processes. These reactions will deplete the concentration of important molecules and also produce dangerously reactive molecules such as the radicals O. and OH..
Non-hyperaccumulators also absorb some concentration of heavy metals, as many heavy metals are chemically similar to other metals that are essential to the plants life. In order for a plant to extract a heavy metal from water or soil, five things need to happen. In their normal states, metals cannot be taken into any organism. They need to be dissolved as an ion in solution to be mobile in an organism. 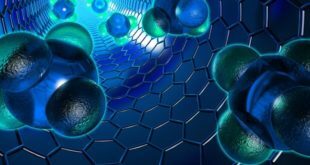 Once the metal is mobile, it can either be directly transported over the root cell wall by a specific metal transporter or carried over by a specific agent. The plant roots mediate this process by secreting things that will capture the metal in the rhizosphere and then transport the metal over the cell wall. Some examples are: phytosiderophores, organic acids, or carboxylates. If the metal is chelated at this point, then the plant does not need to chelate it later and the chelater serves as a case to conceal the metal from the rest of the plant. This is a way that a hyper-accumulator can protect itself from the toxic effects of poisonous metals. The first thing that happens when a metal is absorbed is it binds to the root cell wall. The metal is then transported into the root. Some plants then store the metal through chelation or sequestration. 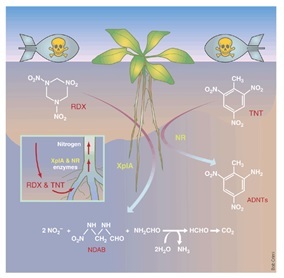 Many specific transition metal ligands contributing to metal detoxification and transport are up-regulated in plants when metals are available in the rhizosphere. At this point the metal can be alone or already sequestered by a chelating agent or other compound. In order to get to the xylem the metal then needs to pass through the root symplasm. The systems that transport and store heavy metals are the most critical systems in a hyper-accumulator because the heavy metals will damage the plant before they are stored. The root-to-shoot transport of heavy metals is strongly regulated by gene expression. The genes that code for metal transport systems in plants have been identified. These genes are expressed in both hyper-accumulating and non-hyper-accumulating plants. There is a large body of evidence that genes known to code for the transport systems of heavy metals are constantly over-expressed in hyper-accumulating plants when they are exposed to heavy metals. This genetic evidence suggests that hyper-accumulators overdevelop their metal transport systems. This may be to speed up the root-to-shoot process limiting the amount of time the metal is exposed to the plant systems before it is stored. Cadmium accumulation has been reviewed. These transporters are known as heavy metal transporting ATPases (HMAs).One of the most well-documented HMAs is HMA4, which belongs to the Zn/Co/Cd/Pb HMA subclass and is localized at xylem parenchyma plasma membranes. HMA4 is up regulated when plants are exposed to high levels of Cd and Zn, but it is down regulated in its non-hyperaccumulating relatives. Also, when the expression of HMA4 is increased there is a correlated increase in the expression of genes belonging to the ZIP (Zinc regulated transporter Iron regulated transporter Proteins) family. This suggests that the root-to-shoot transport system acts as a driving force of the hyper-accumulation by creating a metal deficiency response in roots. Remember, the systems that transport and store heavy metals are the most critical systems in a hyper-accumulator because the heavy metals will damage the plant before they are stored. Often in hyper accumulaters the heavy metals are stored in the leaves. There are several theories to explain why it would be beneficial for a plant to do this. The “elemental defence” hypothesis assumes that maybe predators will avoid eating hyper accumulaters because of the heavy metals. At this time though scientists have not been able to determine a correlation. In 2002 a study was done by the Department of Pharmacology at Bangabandhu Sheikh Mujib Medical University in Bangladesh that used Water Hyacinth to remove arsenic from water.This study proved that water could be completely purified of arsenic in a few hours and that the plant then could be used as animal feed, fire wood and many other practical purposes. Since water hyacinth is invasive it is inexpensive to grow and extremely practical. Cellular tolerance to toxic metals The method is also usually limited to metals and other inorganic compounds in soil or sediment (EPA, 2000). (3) produce a large quantity of plant biomass. In addition, remediative plants must have mechanisms to detoxify and/or tolerate high metal concentrations accumulated in their shoots (Brennan and Shelley, 1999). Phytodegradation which is also known as phyto-transformation is the breakdown of contaminants taken up by plants through metabolic processes within the plant, or the breakdown of contaminants surrounding the plant through the effect of enzymes produced by the plants. Plants are able to produce enzymes that catalyze and accelerate degradation. Hence, organic pollutants are broken down into simpler molecular forms and are incorporated into plant tissues to aid plant growth. This is also referred to as phytotransformation. It involves the degradation of complex organic molecules to simple molecules or the incorporation of these molecules into plant tissues (Trap et al., 2005). When the phytodegradation mechanism is at work, contaminants are broken down after they have been taken up by the plant. As with phytoextraction and phytovolatilization, plant uptake generally occurs only when the contaminants’ solubility and hydrophobicity fall into a certain acceptable range. Phytodegradation has been observed to remediate some organic contaminants, such as chlorinated solvents, herbicides, and munitions, and it can address contaminants in soil, sediment, or groundwater (EPA, 2000). the effect of compounds, such as enzymes, produced by the plant. The organic contaminants are degraded into simpler compounds that are integrated with plant tissue, which in turn, foster plant growth. 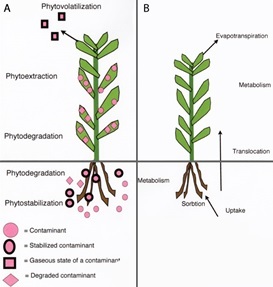 Remediation of a site by phytotransformation is dependent on direct uptake of contaminants from the media and accumulation in the vegetation. The release of volatile contaminants to the atmosphere via plant transpiration, called phytovolatilization, is a form of phytotransformation. Although transfer of contaminants to the atmosphere may not achieve the goal of complete remediation, phytovolatilization may be desirable in that prolonged soil exposure and the risk of groundwater contamination are reduced. Phytotransformation can be employed to remediate sites contaminated with organic compounds. Certain enzymes produced by plants are able to breakdown and convert chlorinated solvents (e.g., trichloroethylene), ammunition wastes, and herbicides . This technology also can be used to remove contaminants from petrochemical sites and storage areas, fuel spills, landfill leachates, and agricultural chemicals. Successful implementation of this technology requires that the transformed compounds that accumulate within the plant be non-toxic or significantly less toxic than the parent compounds. In some applications, phytotransformation may be used in concert with other remediation technologies or as a polishing treatment. This is the control of the water table and the soil field capacity by plant canopies. Phytoremediation projects employing hydraulic control generally use phreatophytic trees and plants that have the ability to transpire large volumes of water and thereby affect the existing water balance at the site. The increased transpiration reduces infiltration of precipitation (thereby reducing leaching of contaminants from the vadose zone) or increases transpiration of groundwater, thus reducing contaminant migration from the site in groundwater plumes. Hydraulic control can therefore be used to address a wide range of contaminants in soil, sediment, or groundwater (EPA, 2000). It should be noted that hydraulic control is also a feasible phytoremediation mechanism for control of groundwater contamination in particular, because the characteristics of the contaminants are not as relevant to the success of the technique. Plants can act as hydraulic pumps when their roots reach down toward the water table and establish a dense root mass that takes up large quantities of water. Poplar trees, for example, can transpire between 50 and 300 gallons of water per day out of the ground. The water consumption by the plants decreases the tendency of surface contaminants to move towards groundwater and into drinking water. The use of plants to rapidly uptake large volumes of water to contain or control the migration of subsurface water is known as hydraulic control. There are several applications that use plants for this purpose, such as riparian corridors/buffesr strips and vegetative caps. Riparian corridors (the term ‘riparian’ means ‘located on the bank of a river’) or buffer strips are applications of phytoremediation that may also incorporate aspects of phytodegradation, phytovolatilisation, and rhizodegradation to control, intercept, or remediate contamination entering a river or groundwater plume. In a riparian corridor, plants may be applied along a stream or river bank, while buffer strips may be applied around the perimeter of landfills. Applications of these systems prevent contamination from spreading into surface water and/or groundwater. Vegetative cover (or a vegetative cap) is a long-term, self-sustaining cap compo sed of soil and plants growing in and/or over waste in a landfill. This type of cover is an alter-native to composite clay or plastic layer caps. Plants control erosion and minimise seepage of water that could otherwise percolate through the landfill and form contaminated leachates. In addition, a vegetative cap can be designed not only to control erosion and seepage of water, but also to enhance the degradation of underlying materials in the landfill. Soil amendments may be required, including chelating agents to facilitate plant uptake by breaking bonds binding contaminants to soil particles. The toxicity and bioavailability of biodegradation products is not always known. Degradation by-products may be mobilized in groundwater or bio-accumulated in animals. Additional research is needed to determine the fate of various compounds in the plant metabolic cycle to ensure that plant droppings and products do not contribute toxic or harmful chemicals into the food chain. Scientists need to establish whether contaminants that collect in the leaves and wood of trees are released when the leaves fall in the autumn or when firewood or mulch from the trees is used. Disposal of harvested plants can be a problem if they contain high levels of heavy metals. The depth of the contaminants limits treatment. The treatment zone is determined by plant root depth. In most cases, it is limited to shallow soils, streams, and groundwater. Pumping the water out of the ground and using it to irrigate plantations of trees may treat contaminated groundwater that is too deep to be reached by plant roots. Where practical, deep tilling, to bring heavy metals that may have moved downward in the soil closer to the roots, may be necessary. Generally, the use of phytoremediation is limited to sites with lower contaminant concentrations and contamination in shallow soils, streams, and groundwater. However, researchers are finding that the use of trees (rather than smaller plants) allows them to treat deeper contamination because tree roots penetrate more deeply into the ground. The success of phytoremediation may be seasonal, depending on location. Other climatic factors will also influence its effectiveness. The success of remediation depends in establishing a selected plant community. Introducing new plant species can have widespread ecological ramifications. It should be studied beforehand and monitored. Additionally, the establishment of the plants may require several seasons of irrigation. It is important to consider extra mobilization of contaminants in the soil and groundwater during this start-up period. If contaminant concentrations are too high, plants may die. Phytoremediation is not effective for strongly sorbed contaminants such as polychlorinated biphenyls (PCBs). Phytoremediation requires a large surface area of land for remediation. As highlighted above, there are several ways in which plants are used to clean up or remediate contaminated sites. To remove pollutants from soil, sediment and/or water and air, plants can break down, or degrade organic pollutants or contain and stabilize inorganic contaminants by acting as filters or traps. The success of phytoremediation at a given site cannot always be attributed to just one of these mechanisms because a combination of mechanisms may be at work. Phytoremediation is a low cost, solar energy driven and natural cleanup technique, which are most useful at sites with shallow, low levels of contamination. They are useful for treating a wide variety of environmental contaminants and are effective with or in some cases, in place of mechanical cleanup methods. Phytoremediation harnesses natural processes to assist in the clean-up of pollutants in the environment. The mechanisms by which plants promote the removal of pollutants are varied, including uptake and concentration, transformation of pollutants, stabilization, and rhizosphere degradation, in which plants promote the growth of bacteria underground in the root zone that in turn break down pollutants. Phytoremediation is amenable to a variety of organic and inorganic compounds and may be applied either in situ or ex situ. In situ applications decrease soil disturbance and the possibility of contaminant from spreading via air and water, reduce the amount of waste to be land filled (up to 95%) and are low-cost compared with other treatment methods. 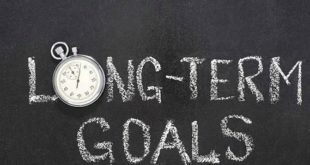 In addition to this, it is easy to implement and maintain, does not require the use of expensive equipment or highly specialized personnel and is environmentally friendly and aesthetically pleasing to the public. Brennan, M. A., and Shelley, M. L. (1999). A model of the uptake, translocation, and accumulation of lead (Pb) by maize for the purpose of phytoextraction. Ecol. Eng., 12: 271-297. Bundy, J. G., Paton, G. I., and Campbell, C. D. (2002). Microbial communities in different soil types do not converge after diesel contamination. J. Appl. Microbiol., 92: 276-288. Cunningham, S. D., Anderson, T. A, Schwab, P. A, and Hsu, F. C. (1996). Phytoremediation of soils contaminated with organic pollutants. Adv. Agron., 56: 55-114. Cunningham, S. D., and Ow, D. W. (1996). Promises and prospect of phytoremediation. Plant Physiol., 110: 715-719. Please use the website link as reference.